I wanted to buy a new backpack. I like one particular one (mainly due to the price) but the problem is i do not know that will i be able to tie my sleeping bag or sleeping mat to its bottom. I know most of you would say that the sleeping bag should be stuffed inside the bag and i normally do that with my bigger backpack. Its just better to have an option (with a 50-55L bag) to tie something outside specially if you have a bag, a mat and a tent. I will attach a picture so you guys know if it is possible to attach something to this one. The bag pictured, a Karrimor Bobcat, for some unexplainable reason has a single anchor point on the underside. Two is common, none is understandable, but one makes no sense- tying your sleeping bag on there would cause it to swing around and twirl, unless you went in for some complicated lashing. In any case, as you noted, it's better to have your bag inside the pack to keep it dry and to make your load more compact. If it doesn't fit, you either want a smaller/more compressible bag or a bigger pack. My personal philosophy is that if you buy the cheapest product available, what you get is the cheapest product available. Quality is generally going to be lower, especially in less-visible areas, and you'll have the minimum of bells and whistles- including, in this case, attachment points. That's the bargain you strike. Packs are designed to carry the contents within a certain area. Extending your gear outside this area will cause you discomfort and will increase wear on the pack. I've never been able to attach more than a poncho or jacket onto the outside of an internal frame pack - such as this one. They're simply designed to carry everything on the inside. I would not attempt to tie a sleeping bag or pad to the bottom of this pack. If you want to attach extra items to your pack, consider an external frame backpack. Just be sure the load is balanced and your gear does not extend beyond the edges of the frame. 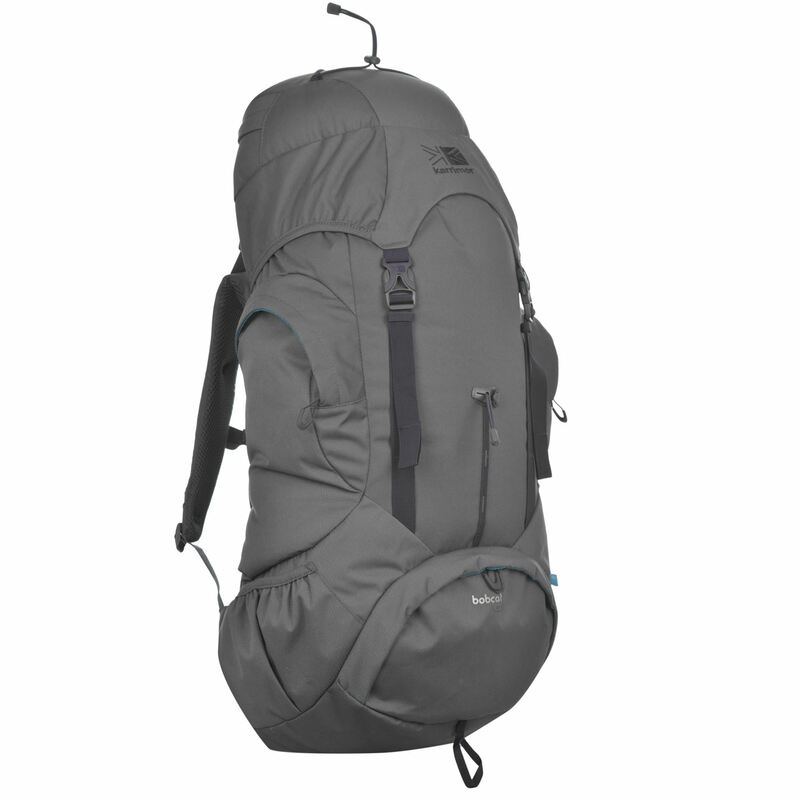 How to determine the needed volume size when purchasing a backpack?